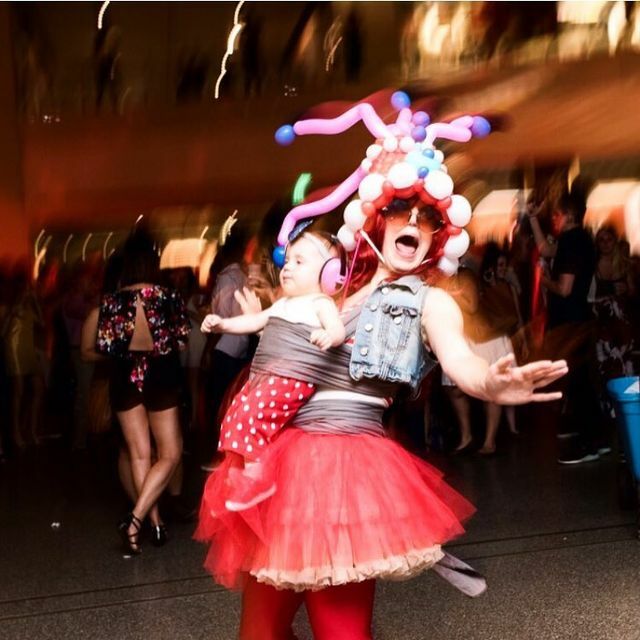 Our modern world is noiser than ever before – and babies and children go to events with the family that could place their delicate hearing at risk. Did you know? Damage to hearing accumulates and can’t be reversed – unlike a cut on the finger, damage to your child’s hearing won’t heal. This damage is known as noise-induced hearing loss (NIHL). Even a single noise event can cause hearing loss if it’s too loud, such as a loud concert or fireworks. Children have much more sensitive hearing than adults, as the bones of their skull are much thinner, and their hearing is ‘new’ and undamaged. What’s loud to you is super-loud – and often painful – to them. 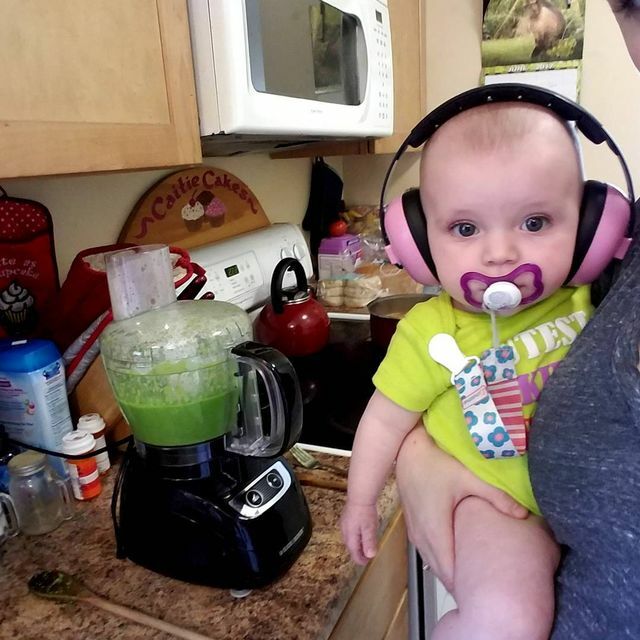 The best way to prevent hearing loss in babies and children is to use high-quality earmuffs. Banz earmuffs have a Noise Reduction Rate of a grunty 31 decibels, giving a Class 4 rating – only one grade less than industrial-strength earmuffs – and meet all relevant international standards. Fun fact: Wearing Banz earmuffs won’t deafen a child. They are noise-reducing earmuffs, not a cone of silence! This means they’re still able to hear what you say to them. A note on using ear plugs for children: ear plugs are often too big for a child’s small ear canal. If they’re cut down, they still may not fit the canal properly and allow noise through. Also, those pretty-coloured ear plugs are a real choking hazard! 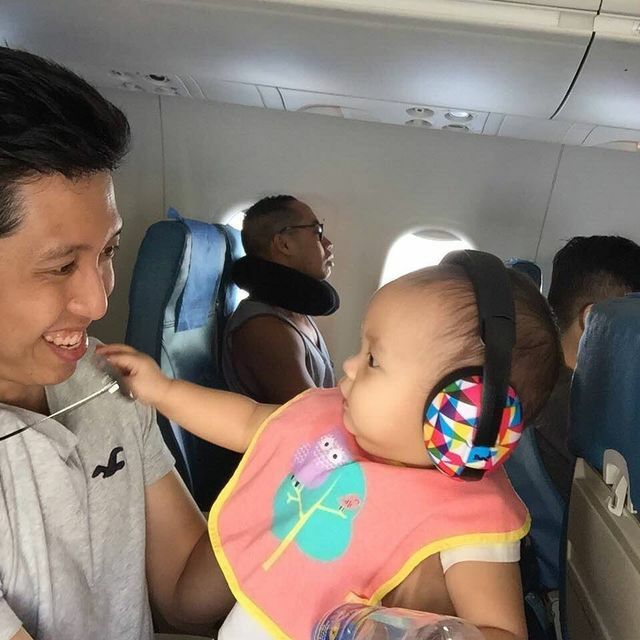 So, when should babies and kids be wearing hearing protection? Flying: The noise of take-off may upset some young children, so hearing protection is recommended. Also, an airplane cabin is a confined, noisy place! Other people, other children and in-flight announcements can be incredibly disturbing for little ones in this unfamiliar and strange situation. 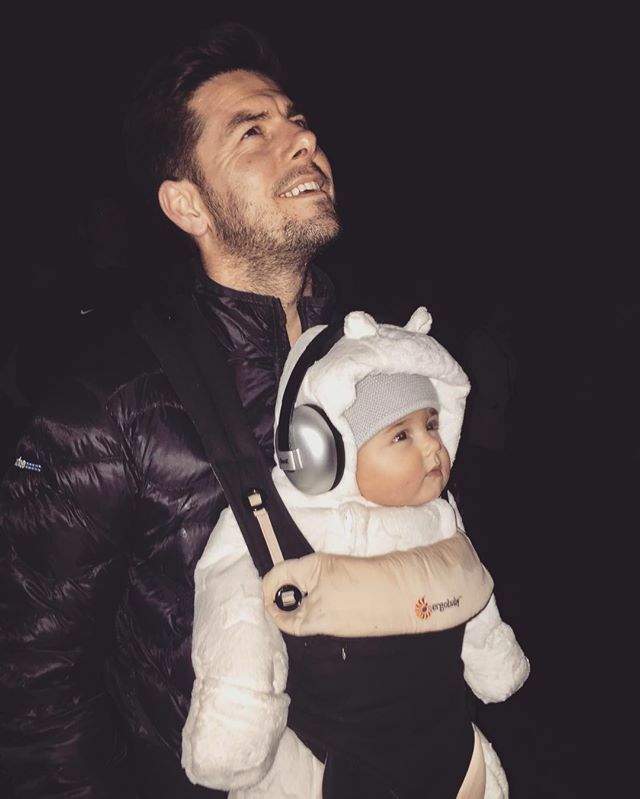 Wearing Banz earmuffs allows them to retreat into a quieter world – often babies will simply fall asleep. Fireworks: Backyard fireworks at Guy Fawkes are a Kiwi tradition – but is it worth risking your children’s hearing for a few pretty sparkles? Although crackers and sky rockets have been banned for several years, the explosive sounds of fireworks have become louder in recent years – and it only takes one noise event to cause damage! Organised displays are even louder – although the fireworks generally detonated further away from the ground – there’s more BANG for your buck! Earmuffs are a necessity. Motorsport: Revving engines, squealing tyres and crashes are great family fun! But it’s simply too loud for young children’s hearing. 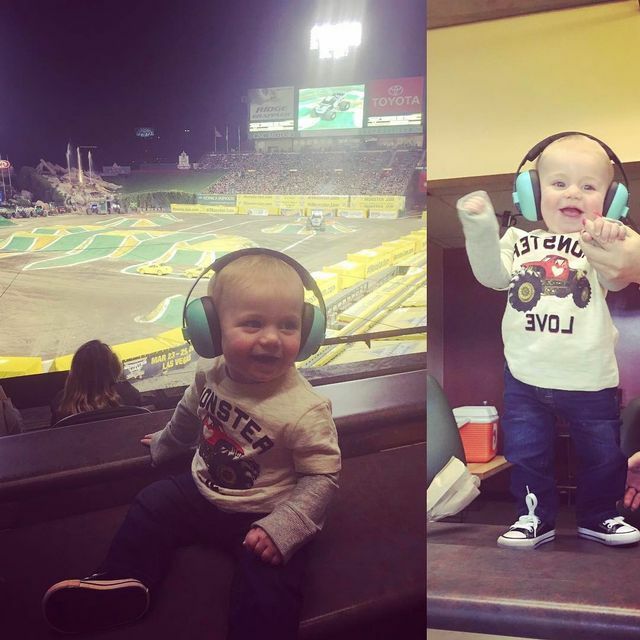 You’ll see the race officials wearing hearing protection at motor racing events – it’s even more essential for kids. Working with tools/ home renos: If you have the builders in – or are doing the job yourself – then you’ll be surrounded by noise while the job’s underway. 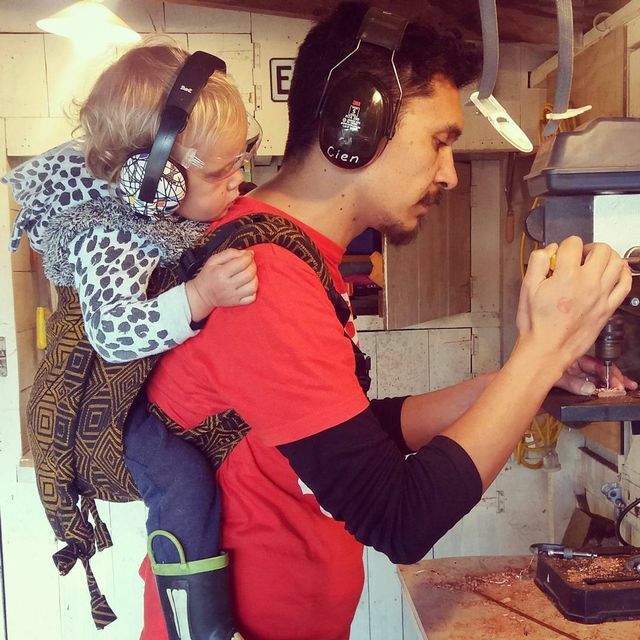 The professionals wear hearing protection and everyone around them should too – especially kids! This includes the times when they’re helping Mum or Dad in the workshop. Loud events: Such as festivals, children’s concerts, airshows – if we take our kids where we can’t control sound levels, and we know the entertainment’s likely to be loud, it’s better to be safe and take hearing protection. At seated concerts you can’t move away from the source of loud noise – and even The Wiggles and Paw Patrol may be too loud, especially if the setting is a large arena. Add in the roar of an excited crowd of children and the decibels soar. Parents have shared stories online of upset children with hands clamped over their ears, due to excess sound levels. Don’t let noise spoil family occasions – use Banz earmuffs. Don’t let loud noise spoil the fun! Movies: We love to take the kids to the movies, but the soundtrack may be set at ear-damaging levels. Moviegoers have measured sounds during films at volumes reaching 98 decibels. That’s almost as loud as a train passing or an airplane taking off. According to a cinema owner, 85 decibels is about the average volume of dialogue in movies. As New York’s Children’s Hearing Institute recommends children not be exposed to noises over 80 decibels (the level of city street traffic), that’s a problem. A sound level of 85 decibels “is where you want to stay below,” says Kit Frank, a U.S audiologist. Beyond that, “you start to hit into the range where you could potentially cause damage” to adult hearing – let alone children. But surely, movies aimed at kids are quieter? Not necessarily. Storks, an 2016 animated feature for kids, hit a peak of 99.3 decibels. Another occasion for Banz earmuffs! 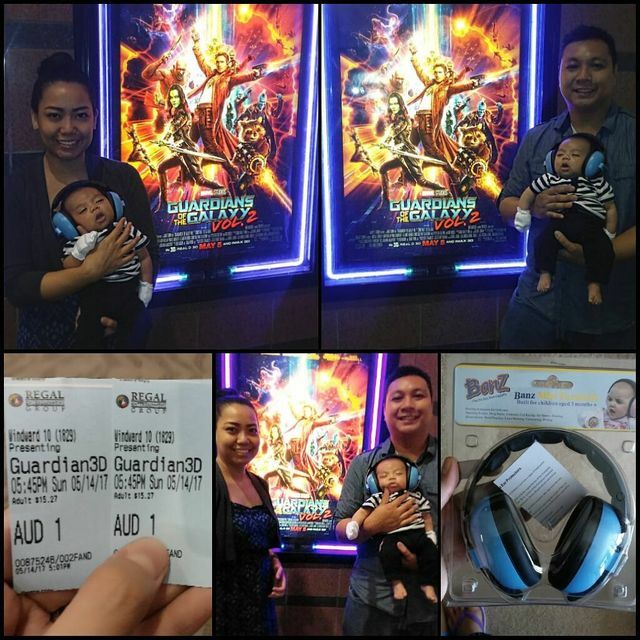 Mum and Dad take their little one to the movies – safely! Childcare centres: Preschools can be very noisy places. So much so that, in New Zealand, the National Foundation for the Deaf has developed the Safe Sound Indicator – a traffic-light system – especially to raise awareness of the noise in preschools. The fix? use Banz earmuffs to ‘turn down the volume’ for little ones upset by noise overwhelm. The obvious area at a pre-school where earmuffs should be worn is at the carpentry table – this is good modelling of a safety practice. We have already supplied many pre-schools with Banz earmuffs – why not suggest it to the management at your centre? No chance of ‘noise overwhelm’ at this preschool! On the farm: Loud machinery is the enemy of hearing. 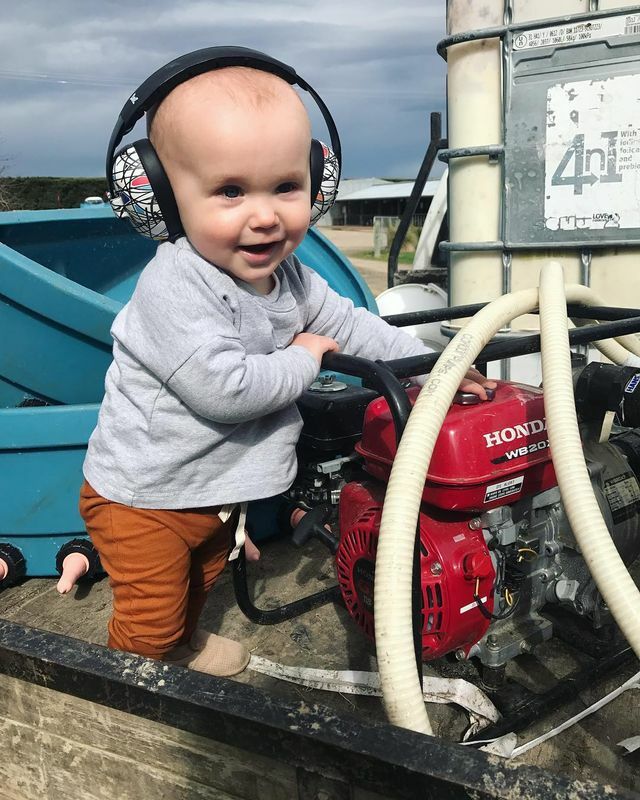 Adults undertaking farm duties generally know to wear hearing protection – but if their kids are around the chainsaws, tractors, trucks, weedeaters and the like, farmers need to protect their hearing as well. Some animals are really, really loud – did you know a pig squealing can be as loud as a snowmobile’s engine? Banz earmuffs are very popular in New Zealand’s rural communities! Noise-sensitive children: Some children are more sensitive to loud noise and overstimulation than others. Wearing Banz earmuffs in triggering situations allows a child the chance to regroup by dulling down the external stimulation – many customers have described their child’s Banz earmuffs as “a life saver”. Children with autism and sensory processing disorder find Banz earmuffs particularly useful. At home: It’s possible your child may find noises around the home, such as vacuum cleaners and blenders, too loud. Slip on a set of Banz earmuffs and they’re happy! Parents who practice their drumming – or any instrument – at home can now protect their child’s ears from harm and not just from bum notes! Much happier around blender noise wearing Banz earmuffs! Sports: And… the crowd goes wild! 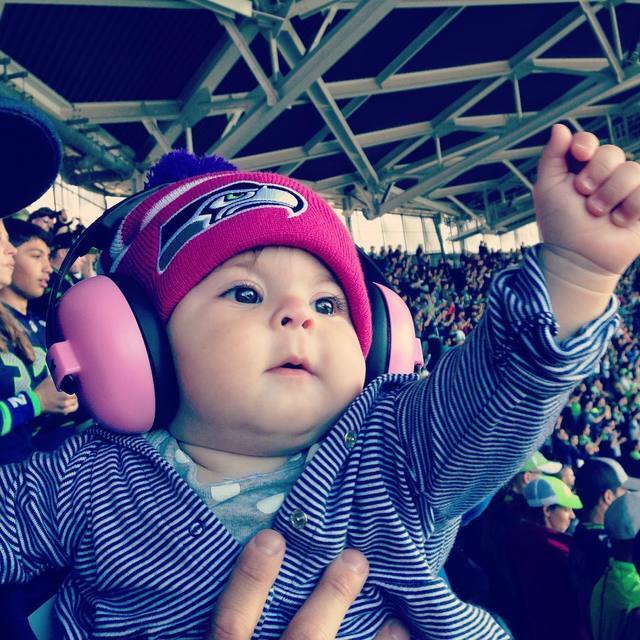 We all want to support the team, but the sheer volume of the roar of the crowd at a game can be overwhelming for little ones, scary and harmful to their hearing. 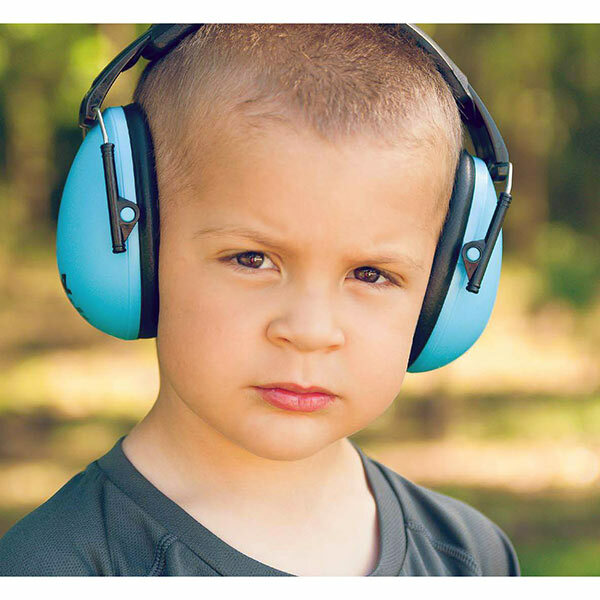 Sound levels at major games have been measured at the same level as a jet engine taking off… over and over and over… Play safe and invest in Banz earmuffs for your kids. Yes! My ears are comfy and my team’s winning! So, when do your children wear their Banz earmuffs? Comment and tell us! Great list! We used a pair of ear muffs at a drifting competition in Pukekohe in Auckland and they were a lifesaver for our then-1.5 year old. She loved having them on and her little ears were protected. Hi Alicia, that’s great! I love that Banz earmuffs give peace of mind to parents. Helping children with noise-sensitivity issues is the use I’m most proud of – I’m so glad Banz earmuffs help your daughter! I don’t blame him, Tony – movies are too loud for me sometimes, too! My son wears them to fall asleep if there is ‘noisy rain’ or if the local morepork won’t be quiet! He’s 4 and needs quiet to fall asleep. Love it, Anna! ‘Noisy rain’ – cute! Thanks, Kelsie, I appreciate your comment! Hi there, are Banz effective enough for a baby to wear at a basement band practice, with drums and guitar? I’m worried it will be too loud in a small space. Thanks! Hi Mary, yes, they are! 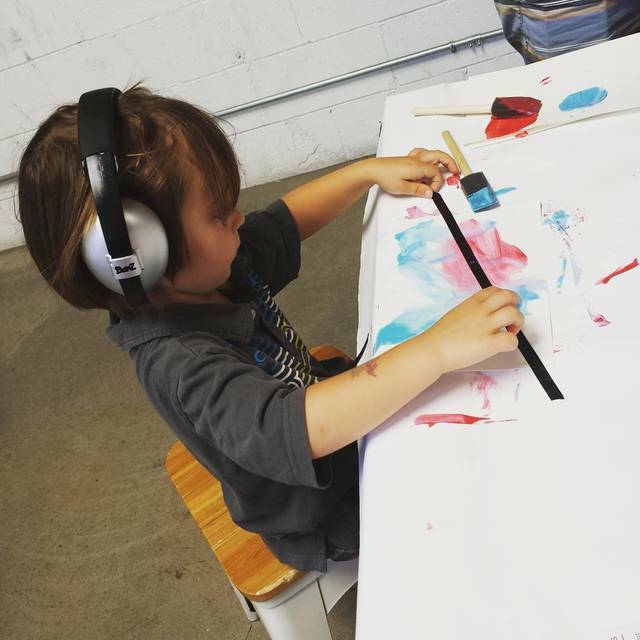 Banz earmuffs meet all international standards and we have many musicians who use them for their children. You won’t find more effective, age-appropriate hearing protection on the market. Thank you for your question!